Echo Fox will also have a first round bye. Against all odds, 100 Thieves ended their first NA LCS Spring Split in first place following their second victory over Echo Fox on Sunday. After an almost two-hour reprieve from their last bout, both 100 Thieves and Echo Fox returned to the NA LCS stage to decide which team would enter the playoffs as the No. 1 seed. While 100 Thieves chose a more standard draft, Echo Fox decided to try Joshua “Dardoch” Hartnett’s unique Nocturne jungle once again—a pick that he unveiled yesterday in their win against FlyQuest. Sadly for Echo Fox, Nocturne didn’t find the same success today as it did vs. FlyQuest. While Dardoch’s Nocturne flourished in early jungle skirmishes, it quickly fell flat once teamfights arose. Any time Dardoch tried to dash onto a group of 100 Thieves players with his Paranoia ultimate, he was quickly chunked down to near death due to his lack of defensive itemization. Still, Echo Fox remained in the game as long as they did because of their inclination to start fights whenever they could. While it was a risky strategy, Echo Fox were sometimes rewarded with a kill or two to keep them in the game. But when the strategy failed, Echo Fox lost a lot. 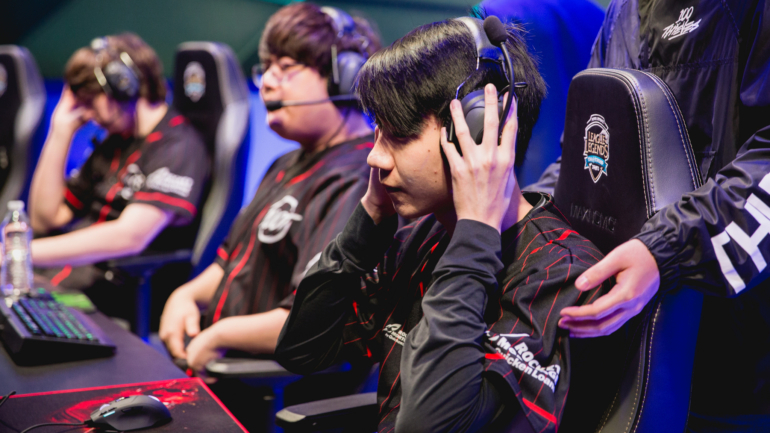 100 Thieves, who easily turned around a fight instigated by Echo Fox, gained not only a massive gold lead, but the Baron buff to further supplement their lead. Echo Fox, a team without a gold lead on any of its players, had no way to stop the destruction of their base caused by 100 Thieves. Now locked in to first place in the standings, 100 Thieves have secured a first round bye in the playoffs—Echo Fox have a bye, too. But 100 Thieves are also guaranteed to face the lowest seed once they make their playoff debut in the semifinals.